It has been a busy week, but I finally had a chance to wrap up some images and thoughts about my recent Yellowstone trip. Like every trip out there, this one helped me see the world as it should be, at least the wild parts do. Being there is an experience of feeling free – free from the drumbeat of the daily news (and it has been a particularly steady drumbeat this political season); free to feel the joy of sharing a place I love; and free to feel that there is hope in this world. I usually don’t take quite as many images when I have other folks with me as I spend more time trying to get them to places to see the things they want to see. 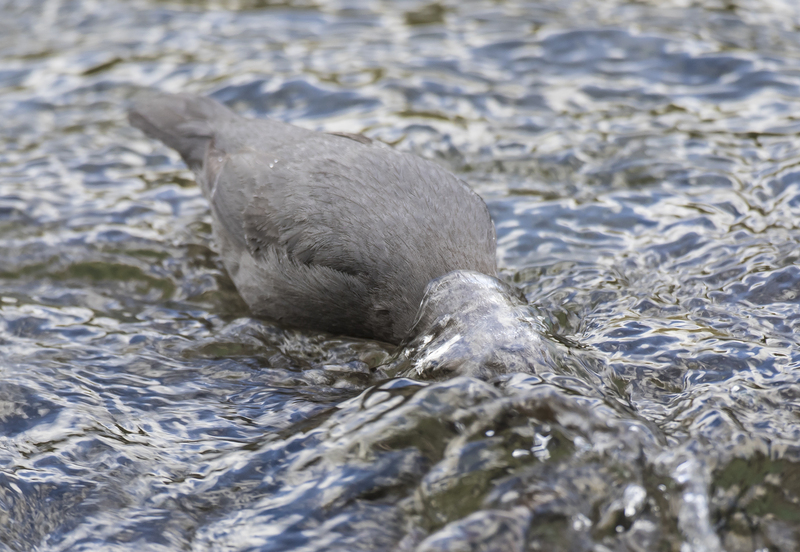 But, I still managed some shots, especially of birds. Plus, I had a couple of days by myself before the others arrived and decided to spend some of it just watching some of the smaller wildlife the park has to offer. 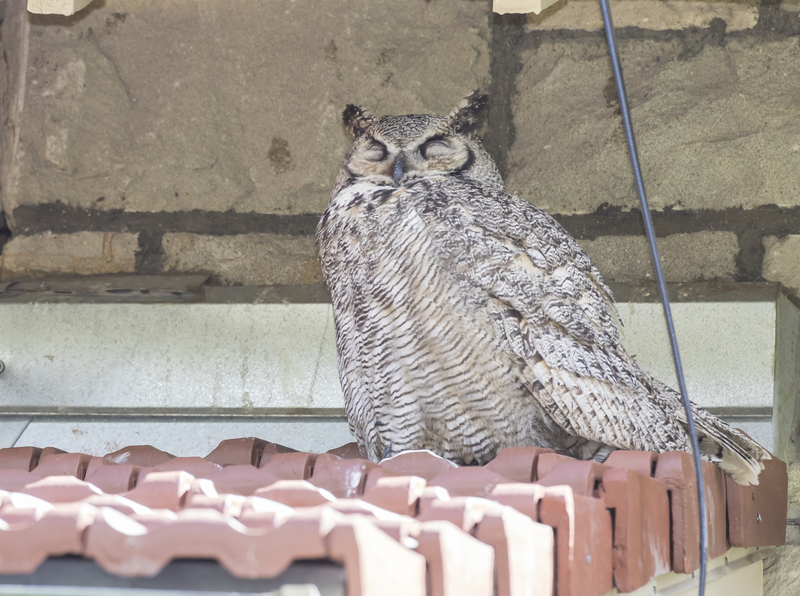 It seemed it was the season of the owls this summer, especially great horned owls. 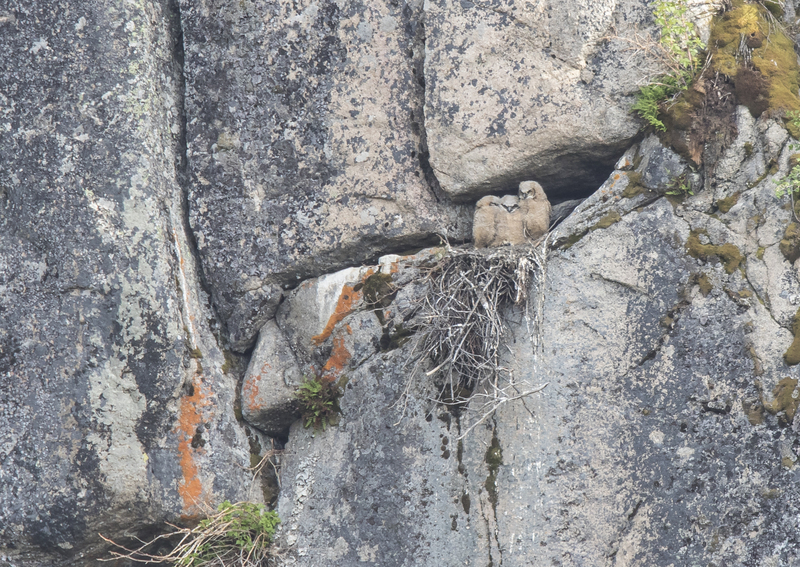 I had seen reports online of a nest high on a rock face in Lamar Canyon and was delighted to see it on my first evening in the park. 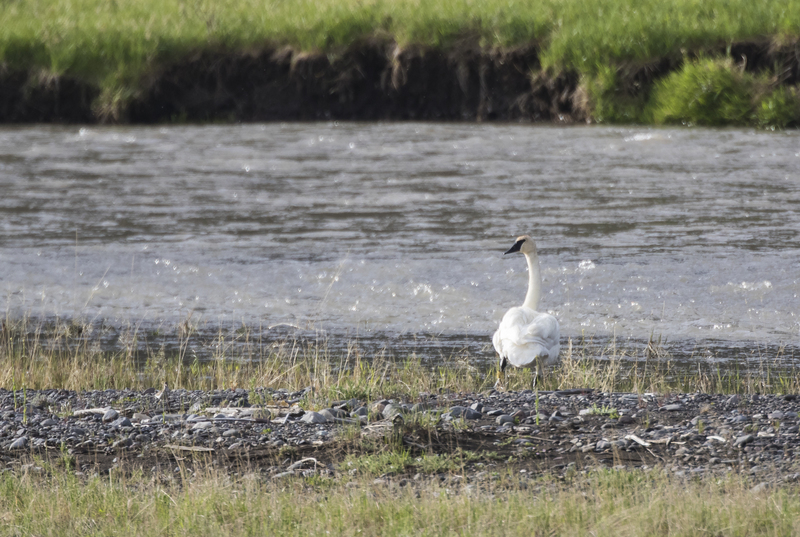 The three chicks were quite visible in their seemingly precarious perch across the Lamar River. I checked on them every day I was in the area, and they all apparently fledged by the time we left the park. 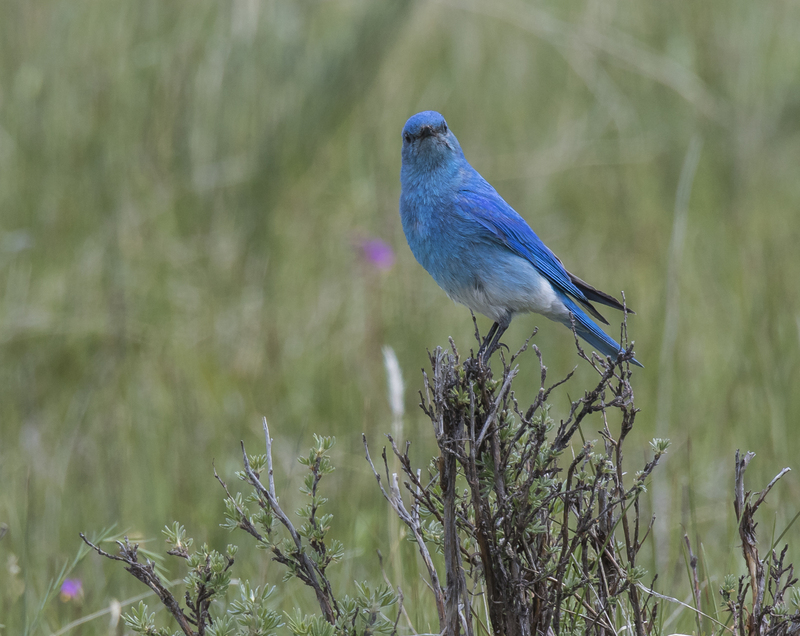 I also checked in on another nest that is usually in a tree in the Fort Yellowstone area of Mammoth. 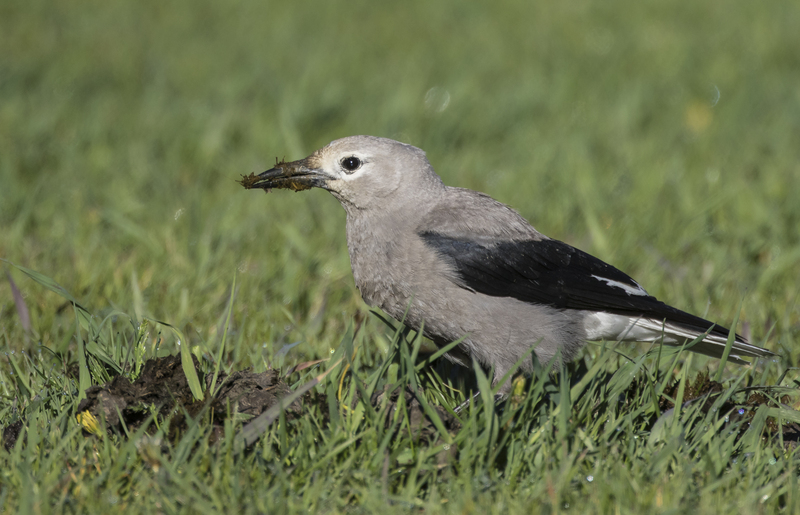 It was in the same conifer as last year and the two chicks fledged within a few days. 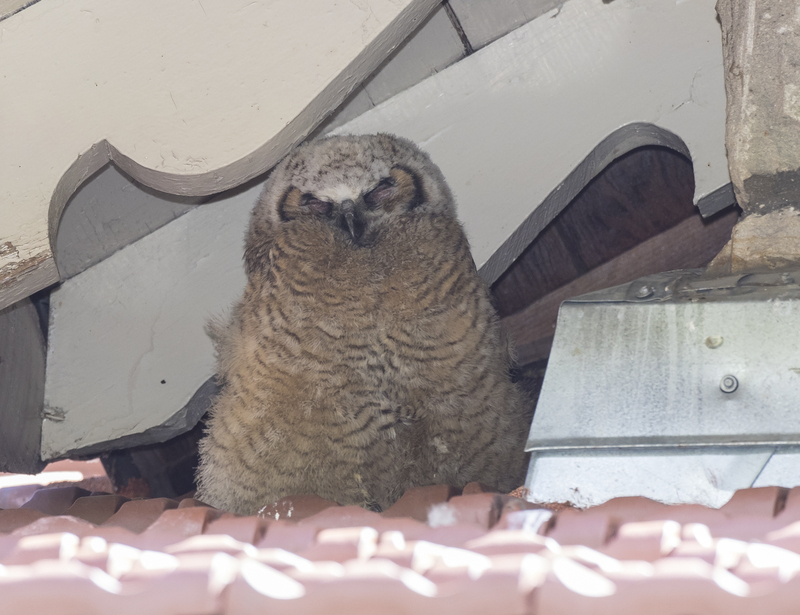 Much to my surprise, one of the chicks ended up about 200 feet from the nest up under the eaves of a three story building. I guess it must have some flight ability as I can’t imagine it “branching” and climbing up the side of that stone building. 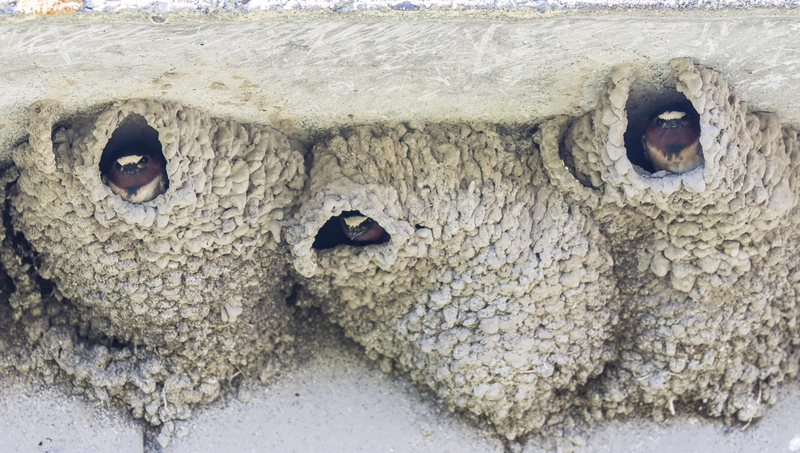 Just a few feet away was one of the adults, calmly sleeping under the roof overhang. 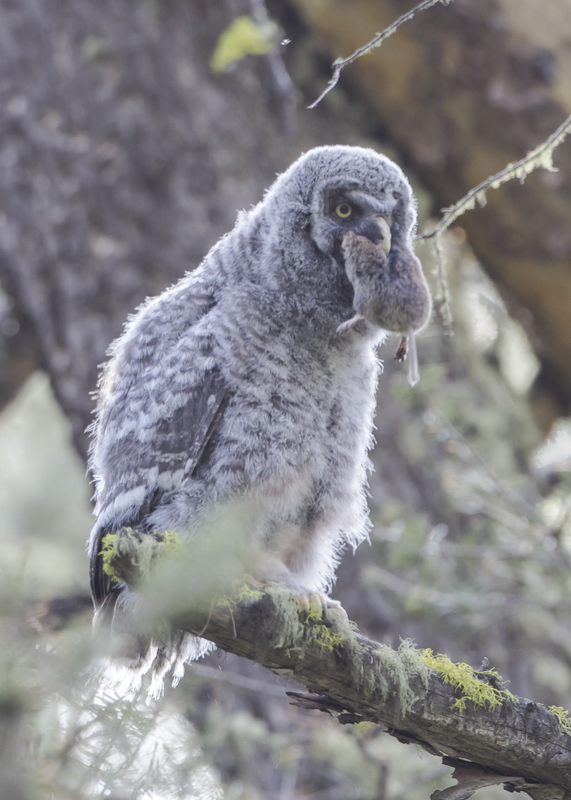 The next day both birds were gone, but we found the chick in a nearby cottonwood tree. The day we went up the Beartooth Highway, I checked a nest I had found last year along the road. 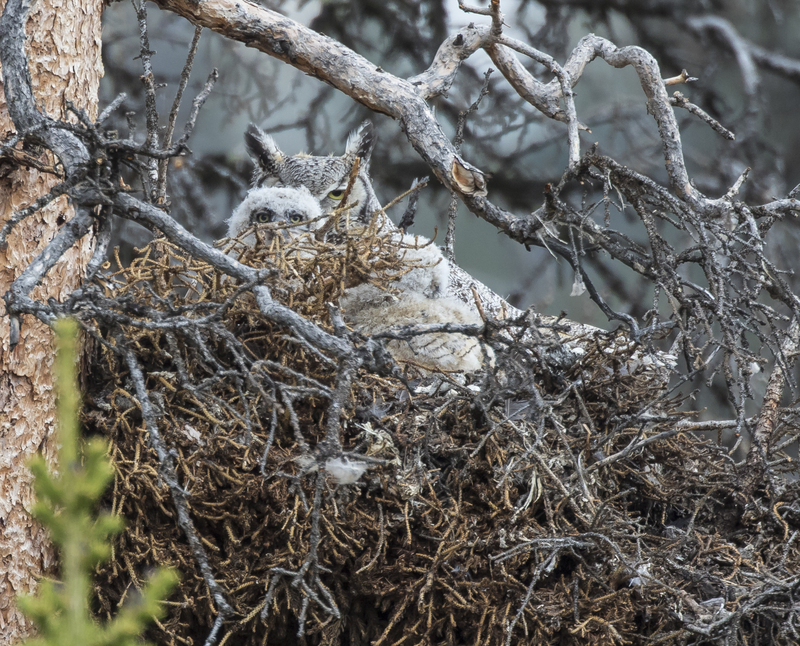 Sure enough, another active great horned owl nest. These chicks seemed a bit further behind developmentally than their counterparts from the lower elevations in the park. 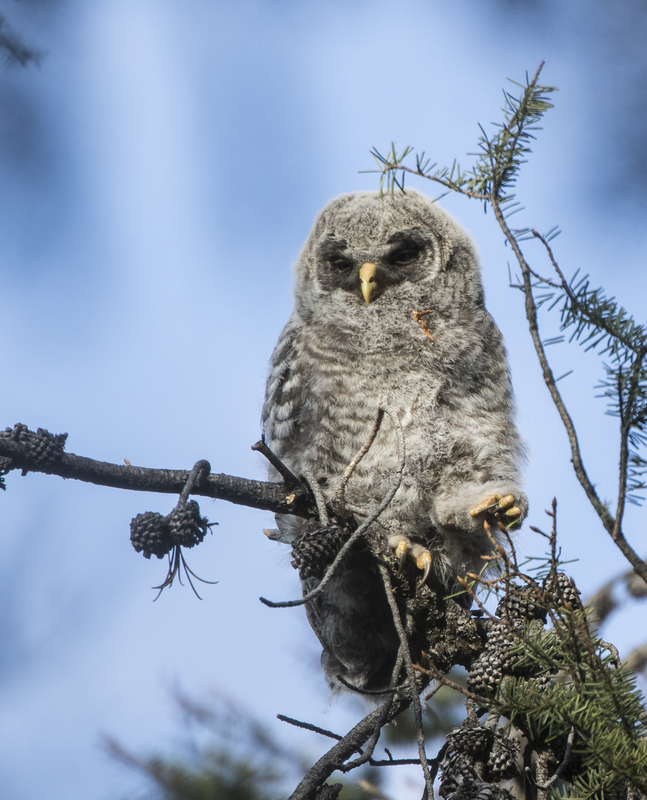 I was fortunate to once again tag along with my friend, Dan Hartman, as he checked a great gray owl nest he has been observing outside the park. 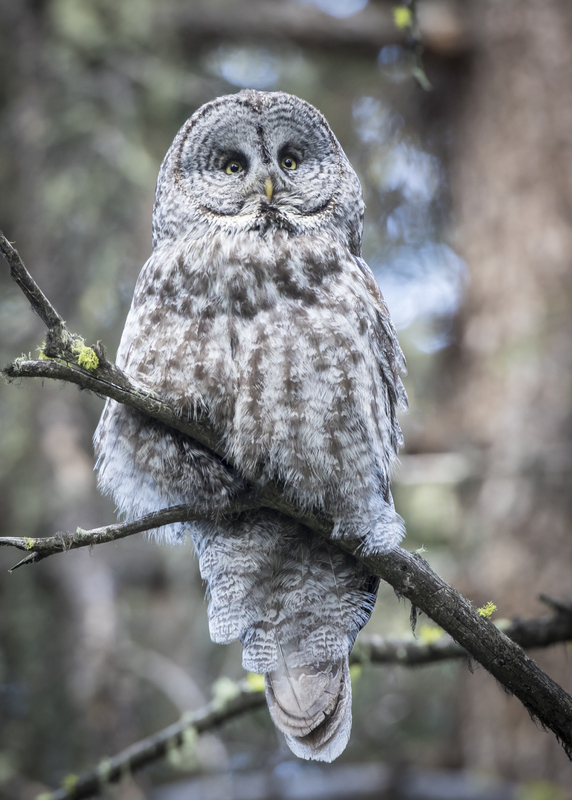 Great grays are the largest owl in North America, and it is always a pleasure to spend time with these magnificent birds in their forest home. 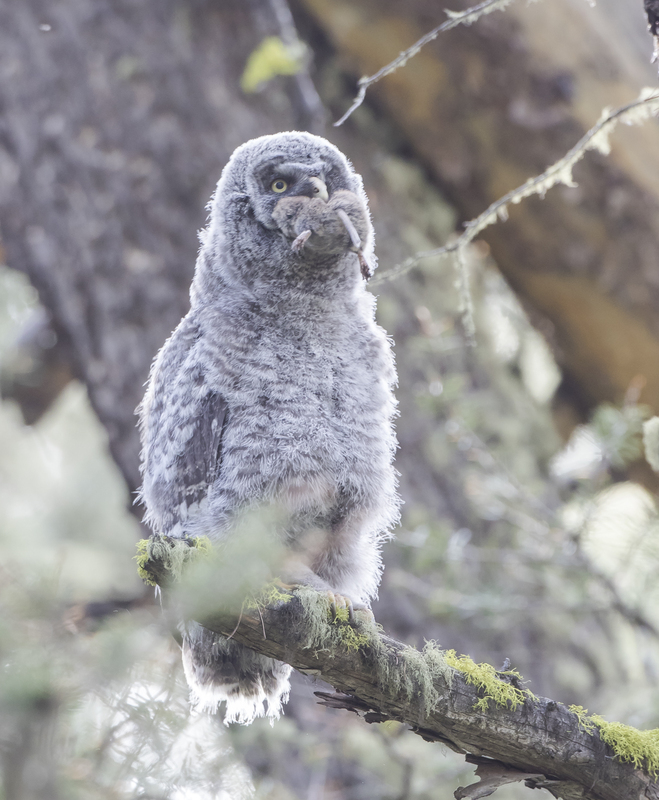 When we walked in, I spotted a chick that had just fledged and had climbed a leaner to perch above the ground (a much safer place to be in these woods). We soon spotted another fledgling high in the branches just beyond the nest. A third, smaller chick, remained in the nest. 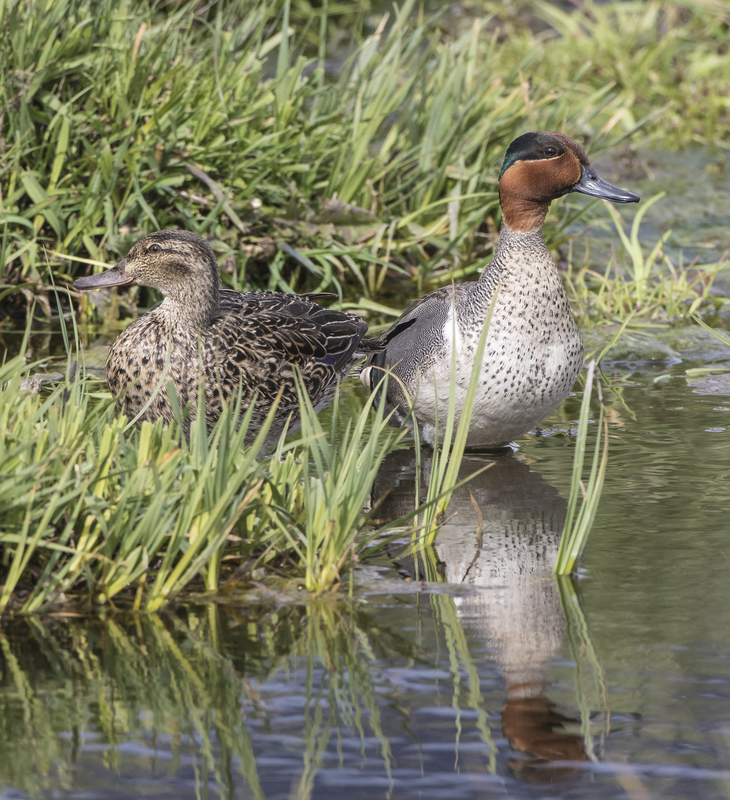 The adult female was nearby, watching over the chicks. A northern goshawk nest was not far away, and we soon witnessed an encounter between an agitated hawk and the female owl. The hawk came screaming through the trees as the owl took flight, striking the owl from behind. The owl went down to the ground. But, other than missing a few feathers, the owl seemed fine, and soon continued to hunt while the hawk disappeared into the forest. Soon, the male owl showed up and we witnessed a simultaneous feeding of the two fledged chicks by the two adults. I was near the first owl chick, which was closer to the ground than its sibling. The male owl flew in, clung to the side of the tree trunk next to the chick, and transferred a small mammal to its begging beak. It was a mouthful (looks like a northern pocket gopher, a favorite prey of great grays). The chick struggled with it, and in the dim light, I managed a lot of blurred images and a few decent ones. The chick finally managed to swallow the food after a lot of gulping and head shaking. 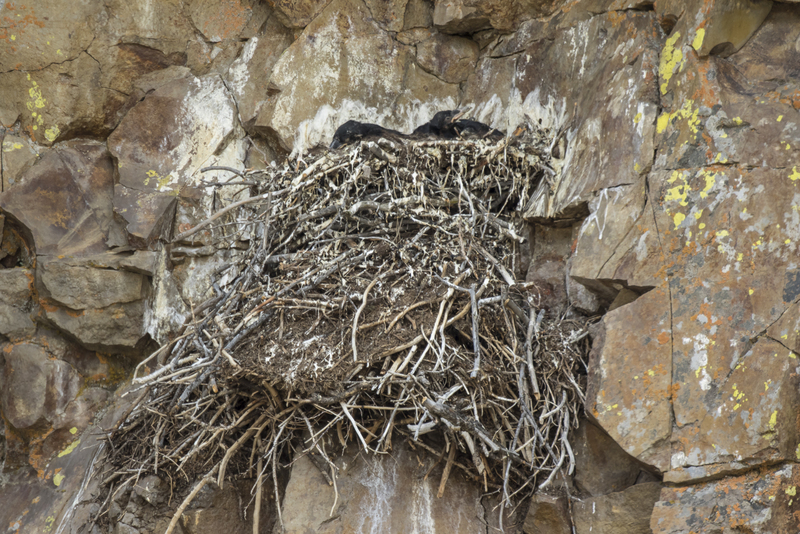 Several other nests were spotted during our visit, including the highly visible raven nest that is usually on the cliff wall in the area known as the Golden Gate, just outside Mammoth. 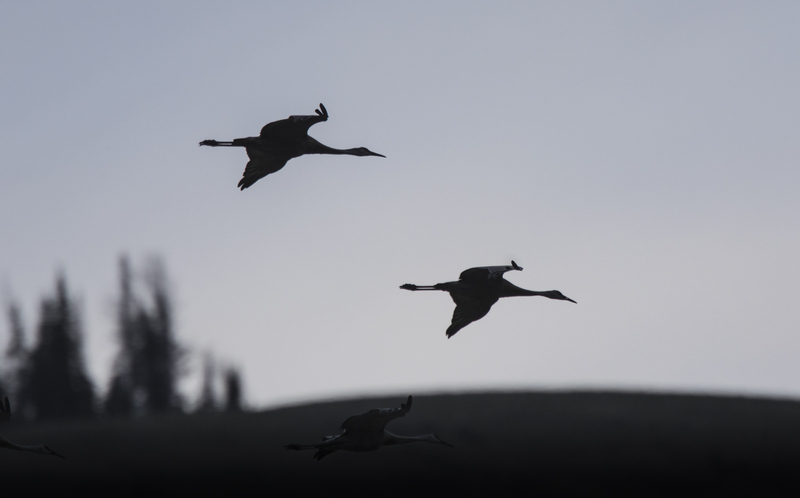 We saw several pair of sandhill cranes with their young (called colts), feeding in wet meadows along various waterways in the park. 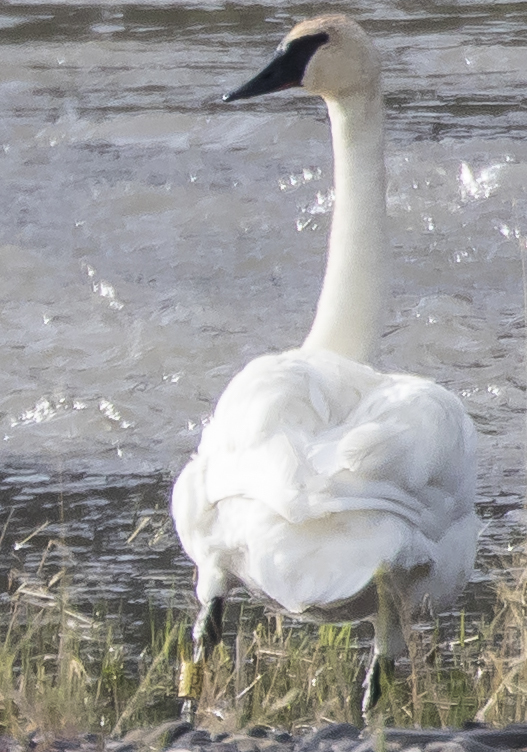 It is always a thrill to see, and especially hear, these majestic birds. 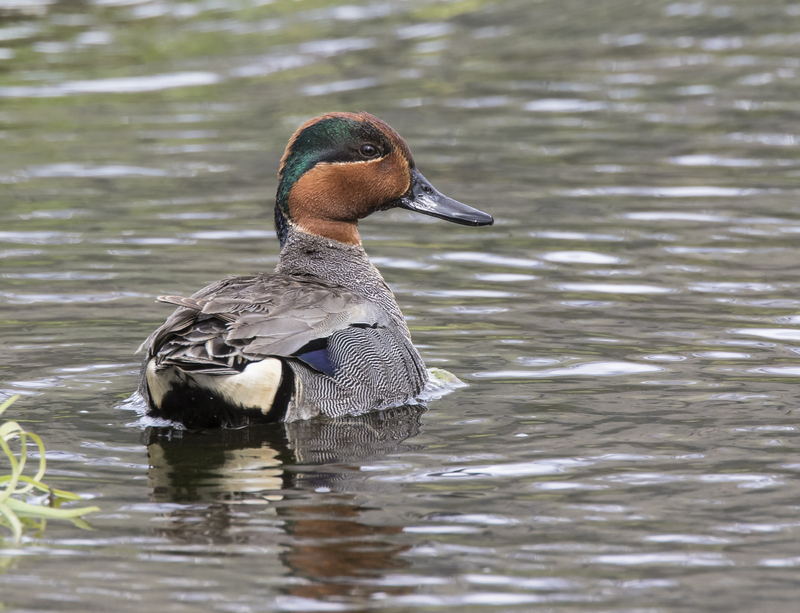 One afternoon I was fortunate to spend about 30 minutes alone with a pair pf green-winged teal just behind Soda Butte. 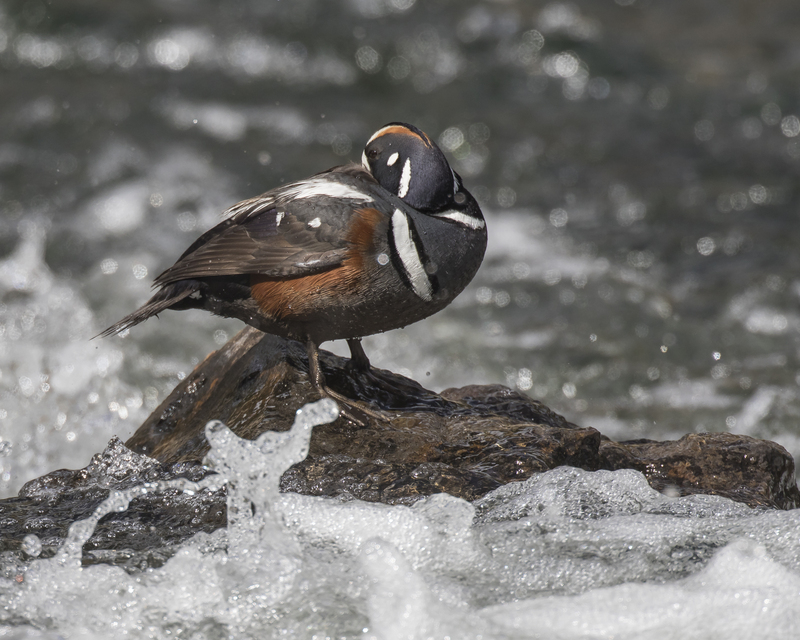 We were hidden from the road by the formations of this old thermal feature, and it was a pleasure to just sit and watch this pair as they fed in a side channel of Soda Butte Creek. 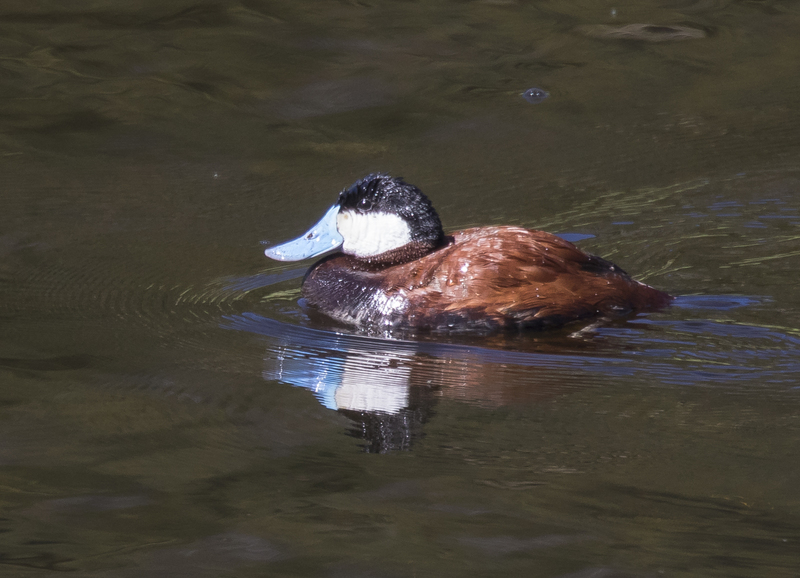 Floating Island Lake provided good views this year of several species of water birds, including some ruddy ducks and eared grebes that were busy courting and fussing. 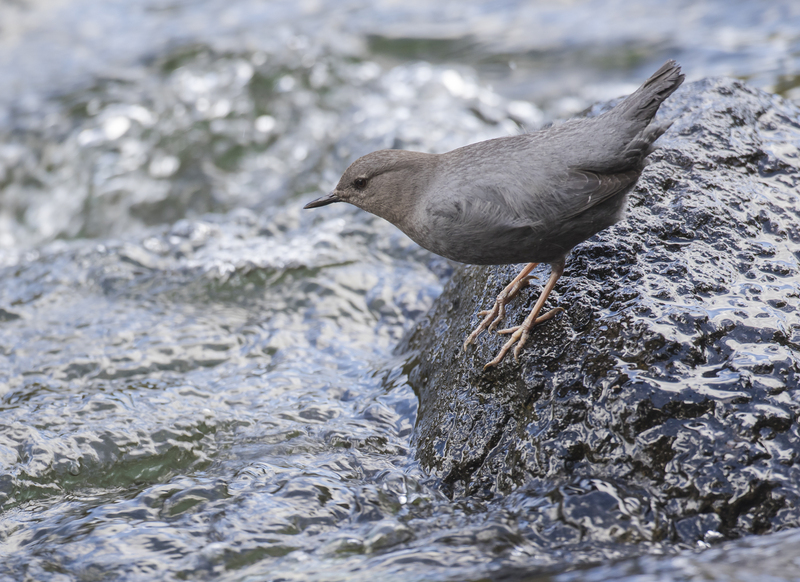 LeHardy Rapids once again provided some good bird watching with a single harlequin duck out on the usual rock, and a very active American dipper feeding in the rushing water ( I never tire of watching these unique birds and their amazing feeding style). 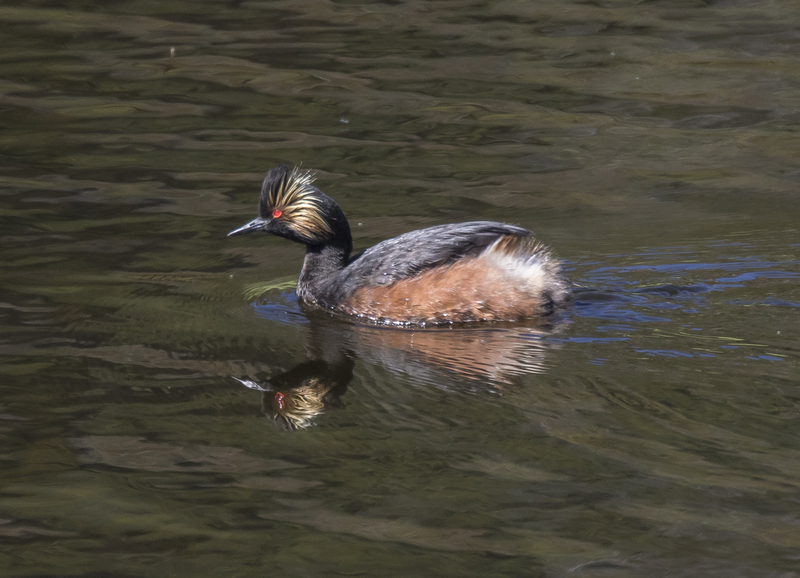 While most people are more interested in the charismatic mega-fauna of Yellowstone, I find some of the smaller forms of wildlife, especially those with feathers, to be just as interesting and fun to watch. It is a treat to be able to spend time with these feathered beauties each time I visit this incredible wonderland. 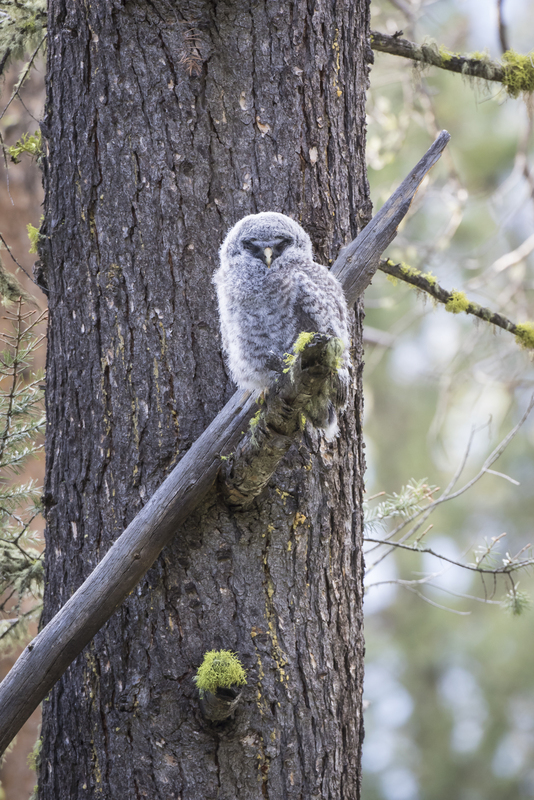 This entry was posted in Natural History, Parks, Trip report and tagged birds, Great gray owl, great horned owl, Yellowstone by roadsendnaturalist. Bookmark the permalink.